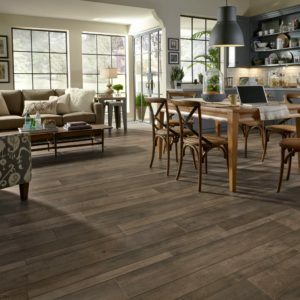 2018 Fall Flooring Sale – Extreme Discounts! 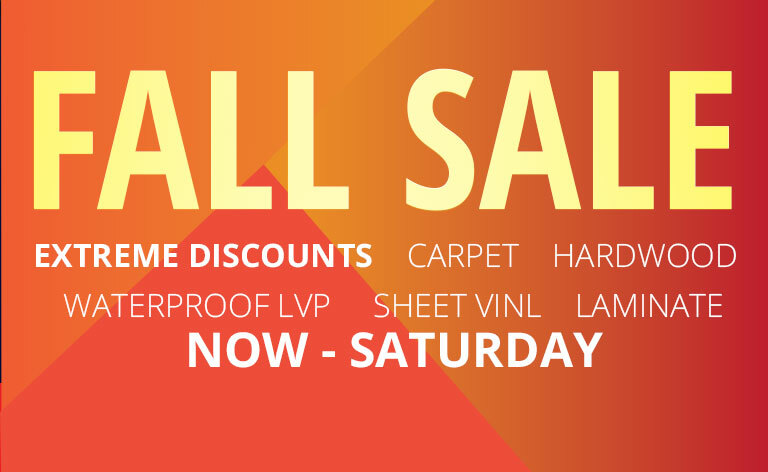 Starting today September 17, Carpet Express is having its annual Fall Flooring Sale. 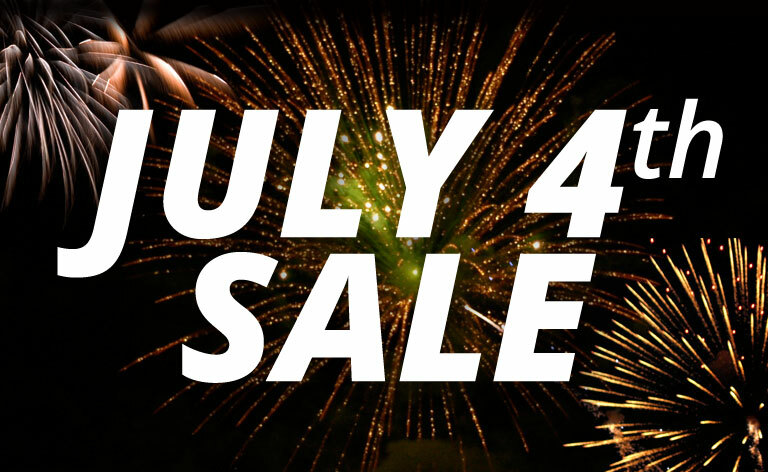 The sale goes from today until September 22, 2018. Check out the great flooring deals in store or online at CarpetExpress.com. You can definitely find the perfect flooring for your home or office. Check out the great flooring sales on carpet, hardwood, laminate, sheet vinyl, luxury vinyl tile, and more from Carpet Express! Mohawk has created many beautiful products throughout the years, and they continue to impress with their hard surface products. Mohawk hard surface products range from hardwood, laminate, and luxury vinyl tile. The company has recently added new collections to these hard surface categories, such as the RevWood, RevWood Plus, and SolidTech collections. Be sure to check out all of our hard surface products from Mohawk, such as our hardwood, laminate, and luxury vinyl tile! 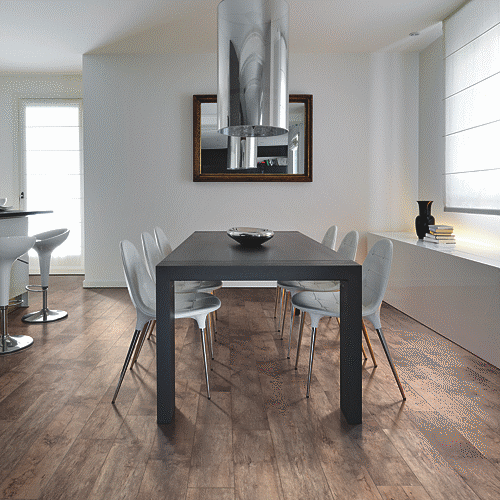 RevWood Laminate and RevWood Plus Laminate are two new collections of laminate flooring from Mohawk. These products are great for the environment and great for your home. 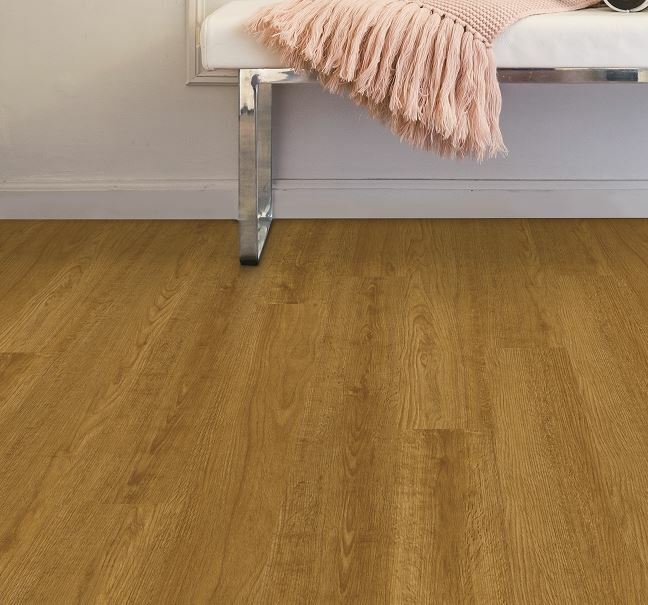 The RevWood Laminate resists stains, scratches, and dents so you can live worry free in your busy homes. Also, these products have Mohawk’s All Pet protection warranty so you won’t have to worry about pet accidents. 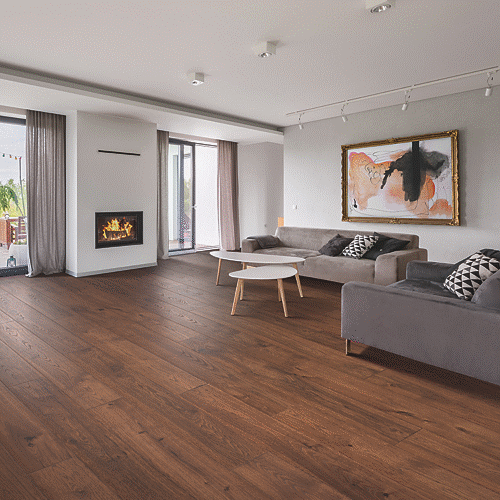 In addition, RevWood Plus Laminate installs well anywhere in the home because it is waterproof. Both of these collections are great for any home, and they have many stylish designs as well. 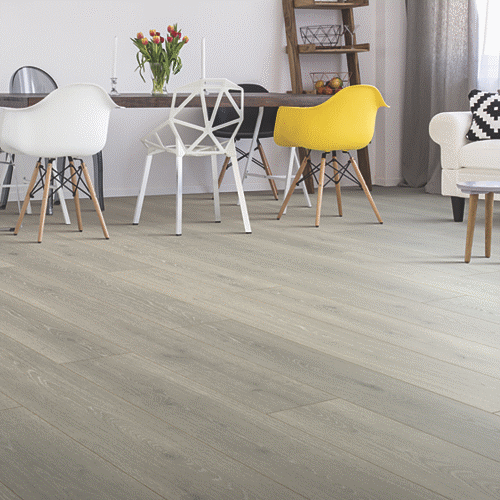 You can create any kind of look in a room because of the style variety from Mohawk’s RevWood collection. 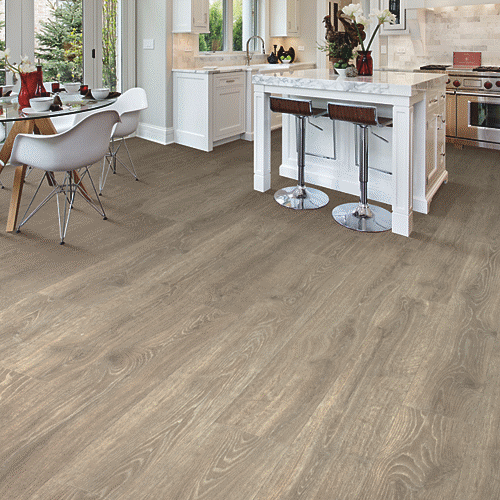 Be sure to check out the RevWood Laminate and RevWood Plus Laminate collections! What is the GREENGUARD Certification? GREENGUARD Certification shows that a product has met some of the world’s most rigorous standards for low emissions of volatile organic compounds (VOCs) into indoor air. Consumers and builders demand safer, healthier products. The GREENGUARD Certification provides consumers and builders with solutions and resources to identify which products have lower chemical emissions. In addition, this certification provides manufacturers with tools to legitimize and promote their sustainability efforts. Indoor air quality (IAQ) is part of everyone’s health and it is an important concern in homes, schools, healthcare environments, and commercial spaces. Volatile organic compound (VOC) emissions from building materials and furnishings are a major source of indoor air pollution. This certification has been in use for many years as the trusted standard for low-emitting products. More than 400 green building codes, standards, guidelines, and rating systems give credit for GREENGUARD certified products. Great Deals During The Spring Flooring Sale! From Monday 23rd to Monday 30th of April, Carpet Express is having its annual Spring Sale! There are many flooring options to choose from, such as: residential carpet, commercial carpet, solid hardwood, engineered hardwood, sheet vinyl, laminate, luxury vinyl tile, luxury vinyl plank, and WPC/Enhanced vinyl plank flooring. 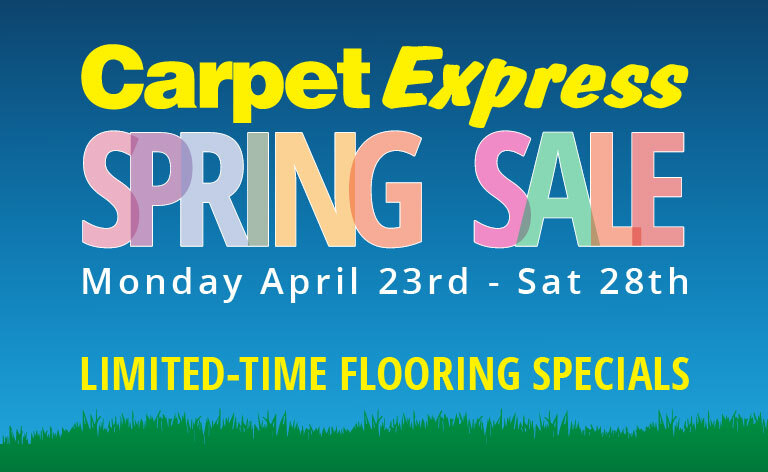 During the Spring Flooring Sale, Carpet Express has great deals on all the products mentioned above. Also, on Thursday the 26th, Friday the 27th, and Saturday the 28th, Carpet Express is showing customer appreciation with free grilled hot dogs and sodas. Be sure to check out all of the great sales going on during the 2018 spring sale! 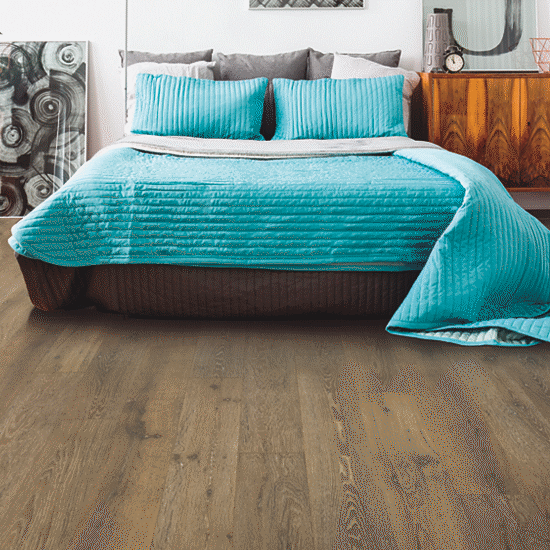 RevWood is the new laminate flooring collection from Mohawk. This product will withstand the busy environment of your home because it has many great features. This flooring resists stains, scratches, and dents. Also, installation is easy because this product has Mohawk’s Uniclic Locking System. RevWood Plus from Mohawk has all of the same features as the other collection and it is 100% waterproof. Also, this laminate collection has Mohawk’s All Pet protection warranty. 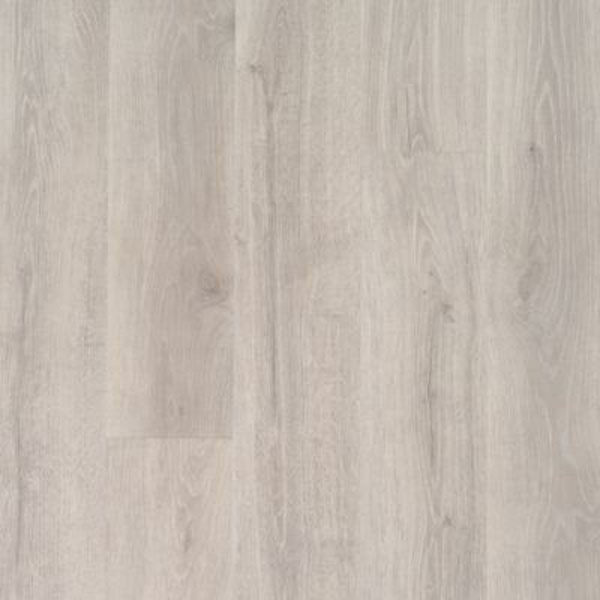 This laminate flooring is great for homes with kids and pets, and you do not have to sacrifice style for function. You can get a gorgeous flooring that looks like real hardwood. In addition, these collections are available in a variety of hardwood species in the latest colors and styles. 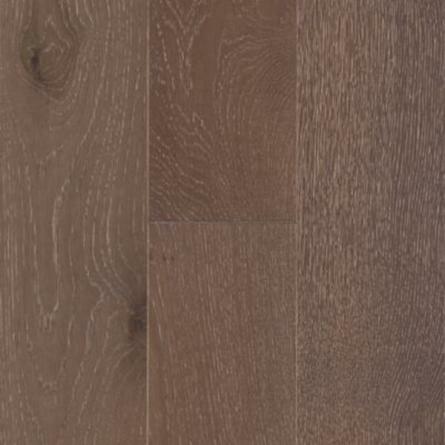 In addition, these new laminate collections from Mohawk are environmentally friendly flooring options. 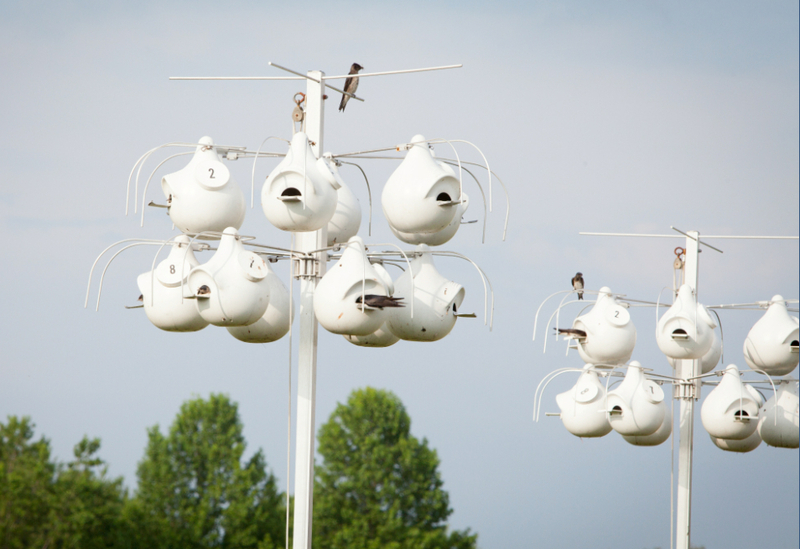 They are made with recycled materials, and they do not require harvesting of raw trees. These products are durable, stain and fade resistant. So you can live without worries with these new collections from Mohawk. 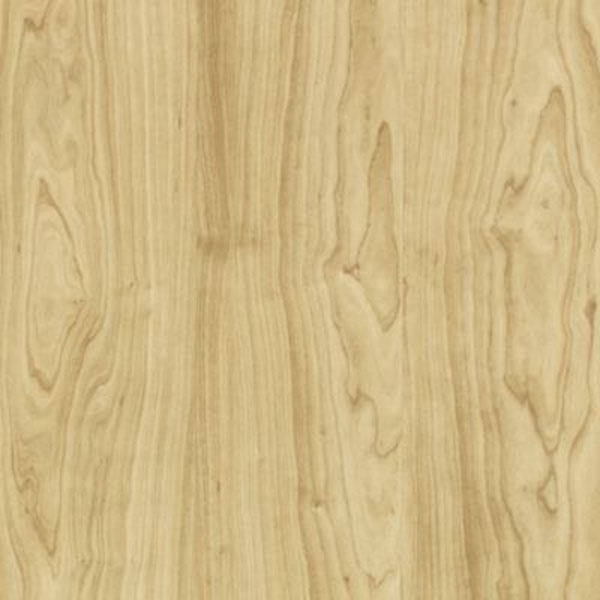 Check out the RevWood laminate collection from Mohawk. 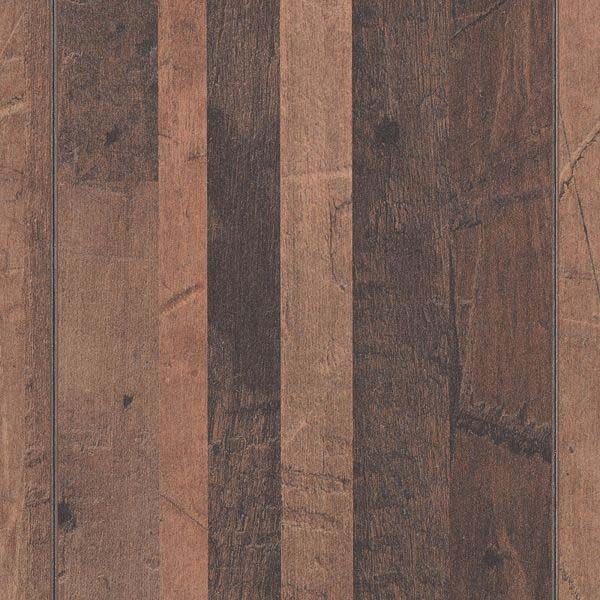 Also, check out the RevWood Plus laminate collection from Mohawk. 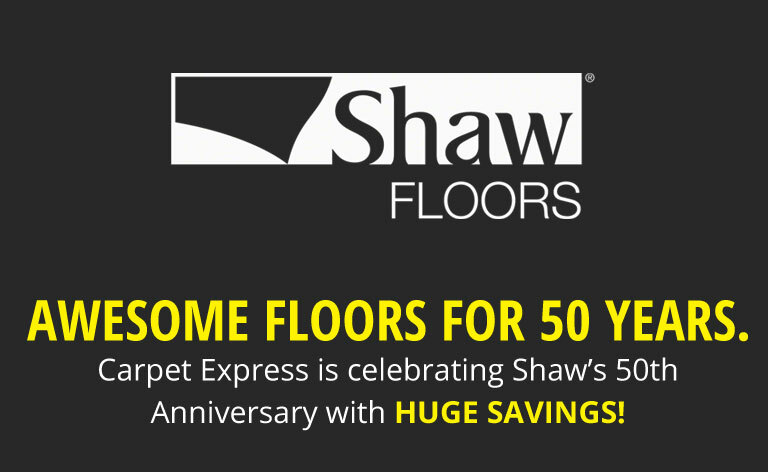 Carpet Express is proud to offer flooring manufacturers like Shaw, Mohawk, Armstrong, and Mannington, all of whom have made outstanding commitments to sustainability. Mannington is a fourth-generation, family-owned company that believes in doing the right thing. When it comes to the environment, they believe that their actions speak louder than words. Below, you’ll see a few of the initiatives that Mannington has developed to promote ecological well-being and ensure they are at the forefront of responsible manufacturing. Mannington is proud to offer several types and styles of flooring that promote the reduce/reuse/recycle credo. One in particular is absolutely fascinating. Think about the amount of drywall that comes from renovation projects, new home construction, old home deconstruction and literally any place that has walls or used to have walls. That is SO MUCH potential waste filling up our landfills. Well, Mannington decided they wanted to help reduce that drywall-to-earth ratio by taking that would be trash and turning it into sustainable flooring. Products like the BioSpec RE resilient commercial flooring is made up by 20% post-consumer carpet as well as 15% post-consumer content. Click here to check out the BioSpec RE commercial flooring. Check out the video below from Mannington describing the idea and process behind this initiative! 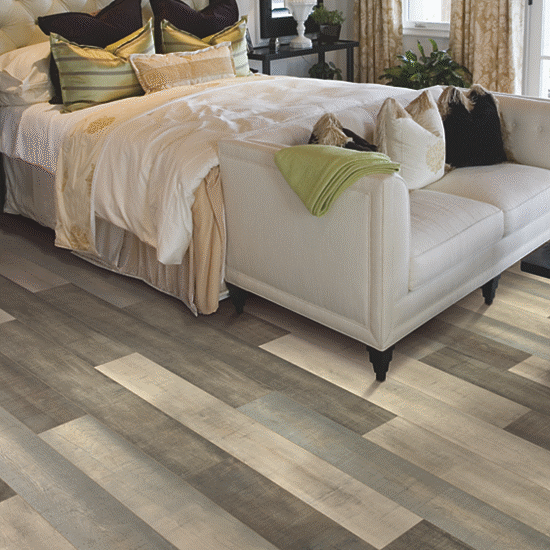 Mannington has one of the largest portfolio of products with recycled content. What does this all mean for you and your next design project or remodel? Glad you asked- Carpet Express offers incredible deals on Mannington hardwood, laminate, and vinyl. We’re also just here to help if you need some info! Give us a call or stop by the showroom to check out some of Mannington’s products up-close and personal! 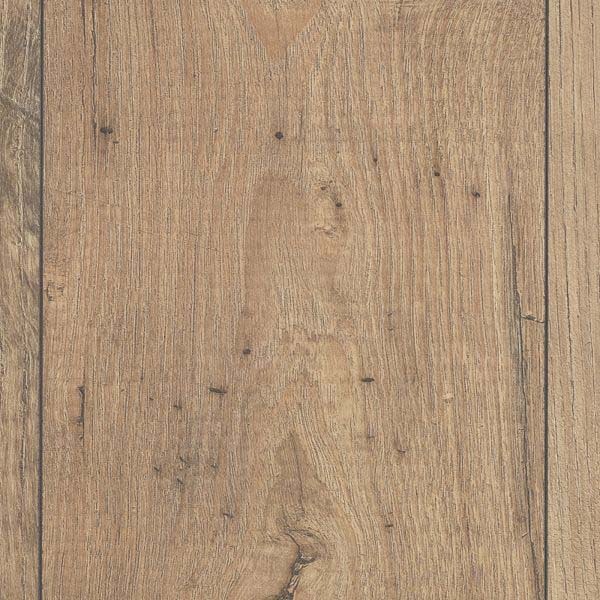 Mannington Keystone Oak in Bronze. Later this year Shaw Industries will be releasing the third version of their Floorvana app. The new app will be Floorvana 3.0, which is now still in its beta stage. When Floorvana 3.0 is launched it will feature augmented reality (AR) technology that will allow the consumer to take a picture of a room in the home and see what the room will look like with flooring from Shaw Industries. The app user can also use existing photos capture the right flooring they desire. 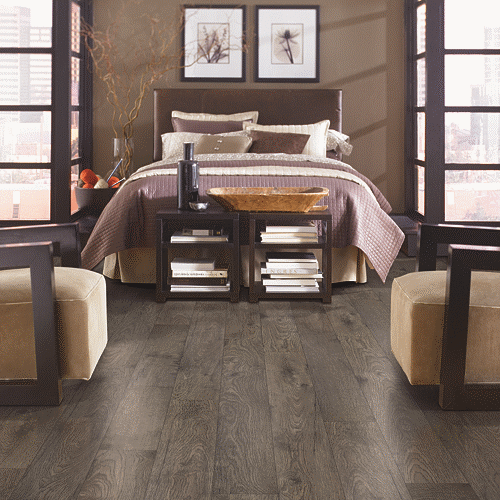 Check out our collection of Shaw carpet, hardwood, luxury vinyl tile, laminate, and sheet vinyl flooring. Happy 50th Anniversary to Shaw Industries! Shaw Industries, Inc. has been in business since 1946, and the company first started as Star Dye Company. Star Dye Company was a small business that dyed tufted scatter rugs. The company officially became Shaw Industries, Inc. in 1972. In 1985, Shaw made its first appearance on the Fortune 500, which is a list of America’s largest corporations. Shaw created many major changes throughout the years to provide better service and value to customers. In 1972, Shaw started generating their own yarn supply after purchasing its first yarn plant, and the next year the company bought its first continuous dye plant. The company created its own trucking subsidiary and established regional distribution centers across the United States. Over the years, Shaw has continued to focus on decreasing the consumption of fuel, water, and electricity in the manufacturing process. In addition, Shaw continues to focus on finding innovative recycling solutions as well. The company started the area rug division in 1993, and the hard surfaces division was launched in 1998 with Shaw Ceramics. 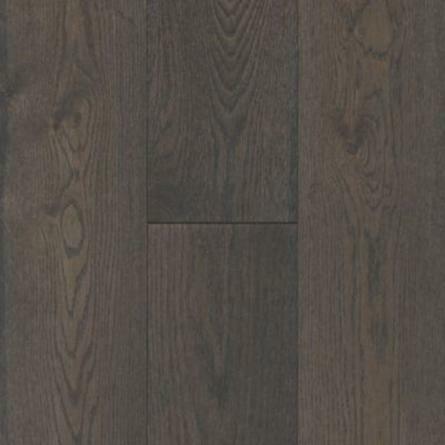 After 1998, Shaw laminate flooring and Shaw hardwood flooring was introduced. 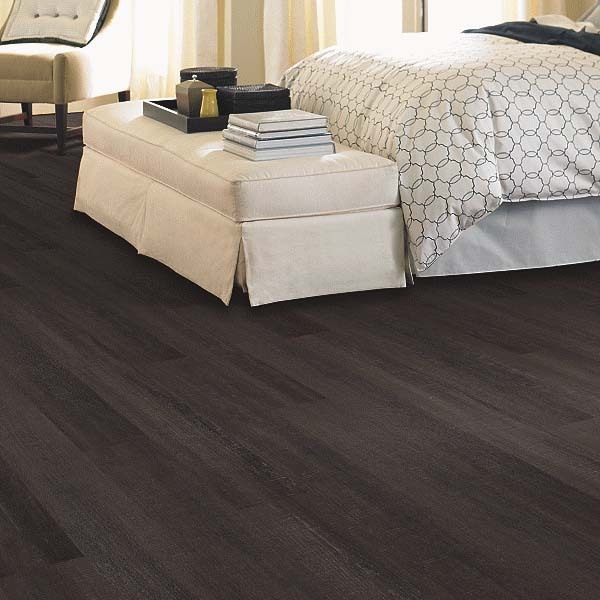 Check out our selection of Shaw carpet, hardwood, laminate, luxury vinyl tile, and ceramic tile.